Think back to the last time you found yourself in the middle of a tough conversation. Maybe it was with your manager at work, over dinner with your spouse, or even an argument with a good friend with whom you weren’t seeing eye to eye on something important. Did you feel like you couldn’t get a word in edgewise? Were you able to really hear what the other person was saying; or were their words being drowned out by your own thoughts? Chances are, you were dealing with an all-too-common yet often neglected party we like to call your internal voice. When we’re in an emotionally-charged conversation or debate, the thoughts in our head often take center stage and drown out the other person’s words. We’re constantly planning out what we’re going to say next in order to deliver the most poignant comeback or devastating defense, and this can get in the way of actually listening to what’s being said. It can also prevent you from understanding the real issues at stake. Thinks – Are you kidding me? You obviously forgot that I talked to you about this weeks ago. Thinks – I don’t care if you didn’t have time, you know this is standard protocol. Thinks – Not my problem. Maybe you should have paid attention when I brought this up before. Thinks – I’ve been in this business much longer than you – I know how much of a burden it will be. As you can see, the conversation ended with the employee losing the account and the manager losing trust in the employee – when both outcomes might been avoided had the parties more effectively dealt with their respective internal voices. The internal voices were getting at the underlying issues they really should have been discussing out loud: the employee’s belief that she was acting based on an agreement made weeks ago, and the manager’s belief that the employee was carelessly violating company protocol. However, neither of these points were even addressed during their conversation. The internal narrative merely served to increase tension and frustration for both parties, leading to a mutual misunderstanding about what actually happened. Instead, learn to recognize it and listen to it. Next time you feel those pesky thoughts creeping their way into your conversation, take a minute to pause and acknowledge them with a sense of curiosity. Even if it means asking the other person for a quick break so that you can step outside and gather your thoughts, this first step is crucial to ensuring that you are in control of your internal voice – not the other way around. 2. Jot down your thoughts before starting the conversation. Of course, we don’t always know when we’re going to find ourselves in a difficult conversation, but sometimes we can anticipate it. In those situations, it can be useful to actually write down what our internal voice is already telling us before the conversation happens. This can help to clarify what the actual issue is from our point of view, so that we can be sure to address it when it comes time for the face-to-face chat. It can also help release some of the negative emotions we may be feeling ahead of time, so that we approach the interaction with more clarity and composure. 3. Realize that the other person has an internal voice, too. As easy as it is to focus on your own internal voice, try to remember that it’s not the only one in the room. Every person has their own internal narrative running at any given time, which can affect the direction of the conversation just as much as yours might. Practicing genuine inquiry is a good way to show the other party that you care about their perspective, while giving you some insight as to what their internal voice is saying. It can also give you an opportunity to tip the bargaining power in your favor. 4. Bring your internal voice into the conversation. 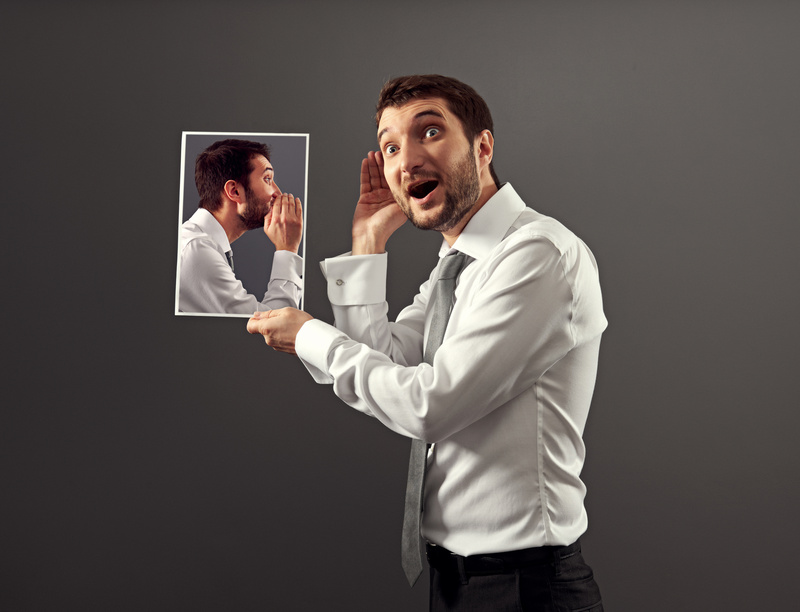 Your internal voice is often expressing underlying issues and unmet concerns. Bringing those concerns into the conversation explicitly can be a powerful way to air and address them, rather than letting them fester. Doing this well takes a higher level of communication skill, so if you’re unsure how to articulate your internal voice well in the moment, it can be useful to write out your thoughts just after a tough conversation and see if you can express them in a way that will be productive. Then, in your next conversation, share your thinking and consider inviting the other person to do the same. Looking for more tips on how to manage emotions in a negotiation or difficult conversation? Check out one of our other recent posts, and let us know what you think. Next PostShould We Leave Our Emotions out of Negotiation?